It's time for another Lovefilm giveaway since these popped through the door the other day. I've given these to every single person I know so thought I'd give these away again on my blog. Simply leave a comment with your email address (if it's not on your blog) and you'll be entered. Giveaway will finish 12pm Saturday 19th May. 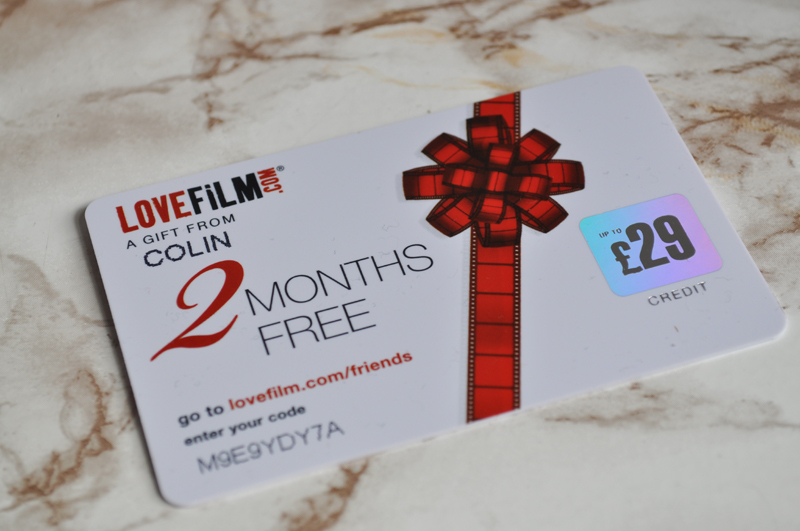 To use the giftcard you cannot already be subscribed to Lovefilm. You do have to enter your card details when signing up but you can easily cancel before payment is taken once the two months is up. Holy Glittery Unicorn, what a clever give away! lisaphilbin@ymail.com I'm definitely in!! I'd love to try lovefilm...this would be a great way to check it out.